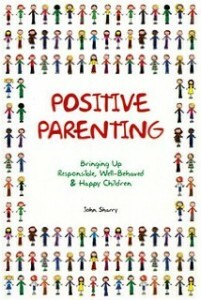 Positive Parenting by John Sharry aims to help parents raise emotionally secure, happy children who reach their full potential at home and at school. Targeted at parents of primary school age children, ‘Positive Parenting’ provides a step-by-step guide to solving behaviour and other childhood problems including sibling rivalry, homework hassles, serious tantrums, bullying, poor self-esteem and anxiety. Have a look inside this book and read reviews here.